This year, Indonesia will enjoy a 20 per cent increase in volume of Australian table grapes on the market. The island-nation exported more than 15,000 tonnes of grapes in 2018 and is expecting to increase on that number in 2019. New varieties coming into maturity are cited for the increase in volumes, as well as favourable growing conditions producing a quality yield. Australia exports a wide range of seed and seedless varieties of grapes to Indonesia including Red Globe, Crimson Seedless, Thompson Seedless, Autumn Royal, Moondrop and Midnight Beauty. 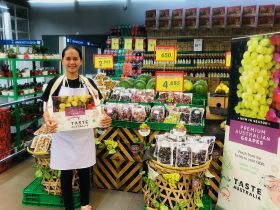 Promotional events held across Indonesian retailers by marketing board Taste Australia, tout Australian table grapes for their nutritional value and convenience. Tasting events will be held throughout April at participating supermarkets including FoodHall, LionSuperindo, Aeon, Frestive, Carrefour and Hypermart. Hort Innovation trade lead, Dianne Phan, said the short shipping times between Australia and Indonesia meant Aussie grapes were able to get into the Indonesian market quickly and in top condition. 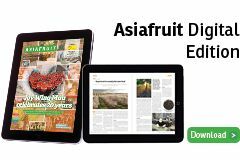 “Australia has an excellent reputation as a supplier of nutritious and high-quality fresh fruit. Our unique, pristine environment makes it the ideal place to grow fresh produce,” she said.